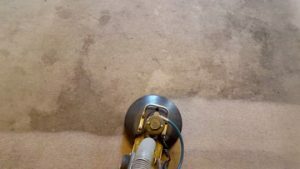 Does your carpet need a good professional deep cleaning? Are you tired of trying to clean all the spots and stains yourself, just to have them re-appear in a few days? Give us a call at Friendly Cleaning Services! We have been in the carpet cleaning business serving customers in Platte County for more than 30 years! Between the 3 decades of cleaning experience and lots of professional training, there’s no situation we cant handle. From commercial to residential carpet cleaning, we can handle it. Why Choose Us As Your Platte County Carpet Cleaners? When you hire Friendly Cleaning Service, you are not hiring some big franchise that sends hired help into your home. You get the company owner, Brian Asher, on every job. So you dont have to worry about whether the job will be done right the first time. Brian has been cleaning carpets for more than 30 years, and there is no cleaning situation that he hasn’t seen before. If you are looking for the best carpet cleaning Platte County MO has to offer, then give Friendly Cleaning Services a call today! Platte County is a county located in the northwestern portion of the U.S. state of Missouri. As of the 2010 census, the population was 89,322. Its county seat is Platte City. On November 7, 1872, the Platte County Court divided the county into 13 townships: Camden Point; Fail; Pettis; Lee; Magee; May; New Market; Parkville; Waldron; Ridgely; Salem; Miller and Weston.